Looking for a last-minute stocking stuffer? 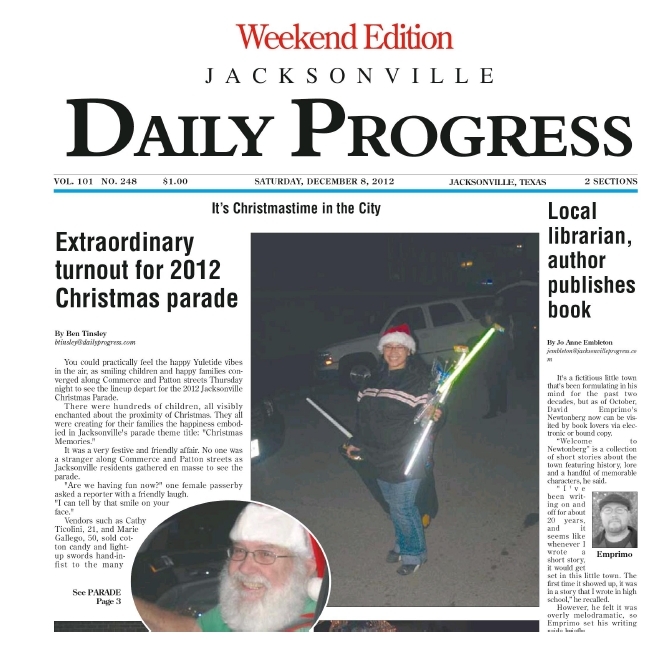 Someone you know getting an eReader for Christmas? Simply click on the picture below, print it, cut it out, and place it in the their stocking on Christmas Eve. Santa will thank you, and so will they. Merry Christmas from my family, and from everyone in Newtonberg! 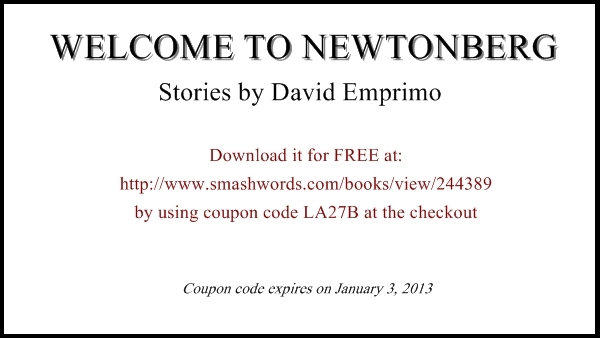 Tomorrow’s my birthday and Christmas is in 9 days, so here’s an early present for you all: until January 2, 2013, the eBook of Welcome to Newtonberg is FREE on SmashWords. Simply enter coupon code LA27B at the checkout. 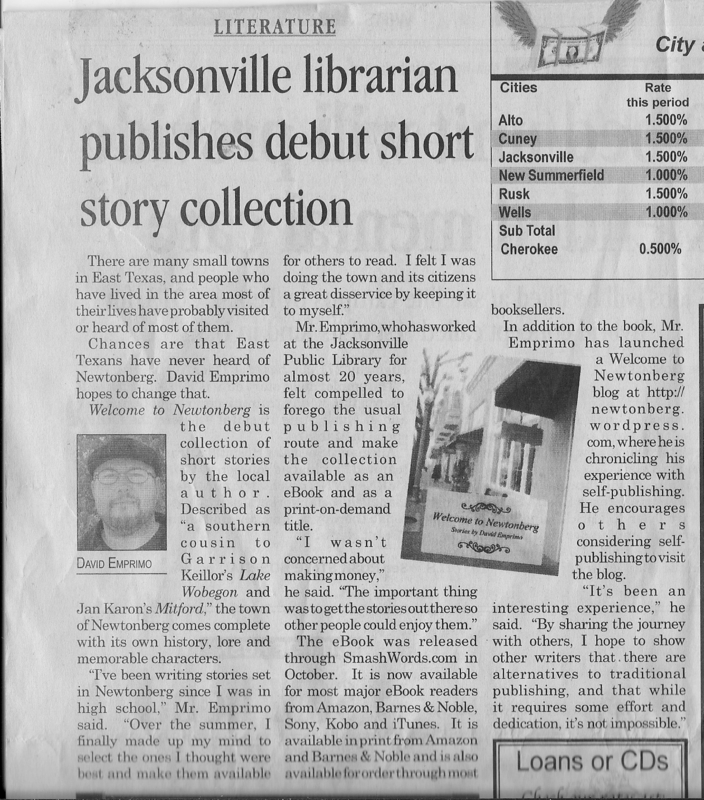 If you like the book, feel free to buy a print copy from Amazon, CreateSpace or Barnes & Noble. Add these people to the “Stork Media” bandwagon. “Used” copies of my book at Barnes & Noble. Really, people? 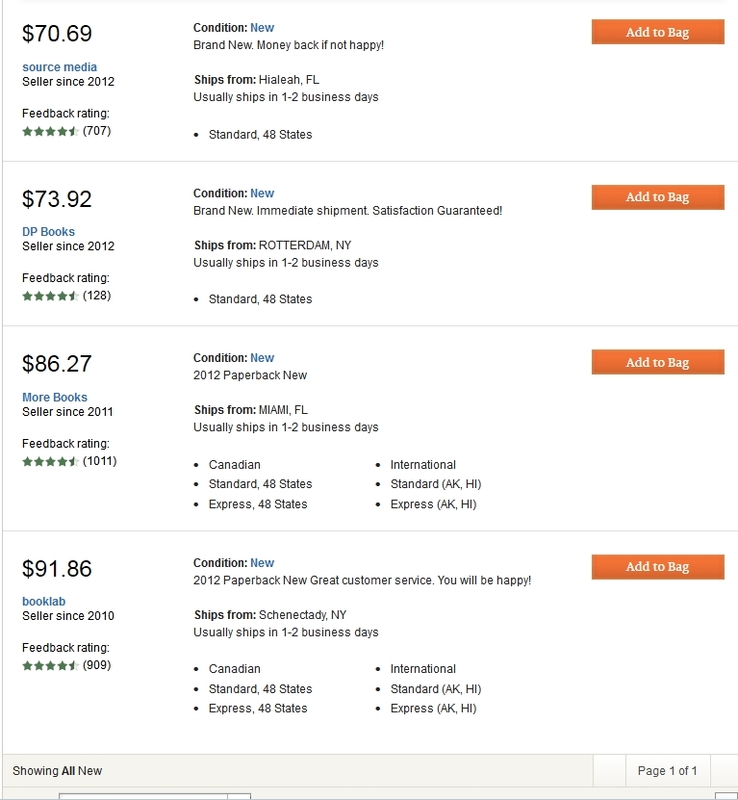 At least the vultures over at Amazon are only charging $29-$38 for “used” copies. If you want to get screwed over, buy it from there. It will hurt less. Available new for $9.99. Just sayin’.